Introductory Note: Most of the polling will be done by candidates, political parties, and interest groups that will not release their results to the public. If the “for” campaign is ahead or within striking distance by mid-October, this is likely to bring out a massive “against” campaign, including TV and radio ads, during the last week before the November 4, 2014 election, where the “against” campaign is likely to outspend the “for” campaign by a ratio of more than 100:1. During the last few decades, no “for” campaign in any state has survived such an assault during the closing days. Poll published in the Providence Journal: 42.3 percent in favor, 26.8 percent opposed; 30.9% undecided. Also of interest: A third of voters said they know nothing at all about Question 3 and 31 percent said they know a fair amount or a great deal about this question. Source: Taubman Center releases statewide and city polls, Taubman Center for Public Policy, October 23, 2014. Poll sponsored by the Rhode Island Center for Freedom & Prosperity. Q8 In the upcoming November election you will be asked to vote whether or not Rhode Island should hold a “convention” to amend its constitution. A convention is a process that elects citizens as delegates who then meet to discuss possible amendments to the state’s constitution, with all recommended amendments also required to be approved by Rhode Island voters. Are you generally in favor of – or opposed to – holding a state constitutional convention? Source: Communication Concepts Poll, Rhode Island Center for Freedom & Prosperity, released October 22, 2014. After conducting a debate on the pros and cons of holding a constitutional convention in Rhode Island, the current Leadership Rhode Island class voted 39 in favor and 14 against (73.6%). Source: Edgar, Randal, Leadership Rhode Island class debates pros, cons of Constitutional Convention, Providence Journal, April 25, 2014. To provide historical context, Leadership Rhode Island put together a great graphic describing Rhode Island’s 1984-6 state constitutional convention. Rhode Islanders will vote next year on whether to hold a constitutional convention. Do you support or oppose holding a constitutional convention? 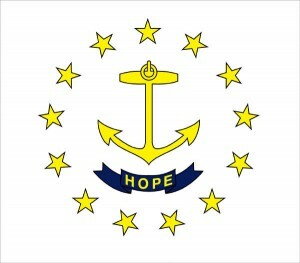 Source: Chafee unpopular; Rhode Island supports gay marriage, Public Opinion Polling, January 31, 2013.